A banana bread is a banana bread is a banana bread. But is it? On my search for a simple banana bread recipe, I noticed that most people don’t just like their go-to recipe—they’re eternally commited to it. And you won’t just find one or two self-proclaimed “best banana bread“ recipes, but hundreds (which of course can’t be the case). There can only be one—and our mission is to find out which one it is! In that effort, we baked 5 of the “best banana breads“ so that you don’t have to. Then we served it to our highly-qualified Kitchen Stories Eat Force and ranked them. The results are in—which is the best of the best? It might be no surprise that Buzzfeed enters the ring with a very unconventional upside-down banana bread that is made with an extra layer of caramel. Or as they say: “You've Totally Been Making Banana Bread The Wrong Way Your Entire Life.” Well, let’s see about that. Find the recipe here. The recipe title might not say it directly, but according to the blog text “this is The One, my friends.” So could it be that the best banana bread doesn’t even need eggs, milk, and friends, but flaxseed, coconut oil, and rolled oats? And do chopped walnuts as a topping make the difference? Find the recipe here. Martha Stewart is the only one who adds a cream cheese topping on her banana bread. Will this help or even distract from the bread itself? Her recipe is simple and the batter contains sour cream, “which gives it a subtle tang and super moist texture,” as she writes. Find the recipe here. Let’s just quote the blog text here: “A naturally gluten-free loaf of banana bread that’s perfectly moist with a delicate crumb. It just might be the best banana bread ever!” Correct—it MIGHT be, but only the experienced Kitchen Stories Eat Force (qualified by eating a lot, every day) will find out. Find the recipe here. Food52 calls this “Simply the Best Banana Bread.” But is it really as simple as that? We were curious! Food52’s recipe is done quick and easy. The batter contains buttermilk, canola oil, two types of sugar, and is the only one to stir in dark chocolate chips. And chocolate is never wrong—or is it? Find the recipe here. Our banana breads were lined up for a blind tasting. They were judged on overall taste, texture, look and wow-factor. Everyone ate their way through banana bread paradise and gave points from 1 (worst) to 5 (best). Even though all recipes were different and unique on their own, we could learn some important general banana bread wisdom. 1. Only use very ripe bananas. This makes your bread moist and most flavorful. 2. 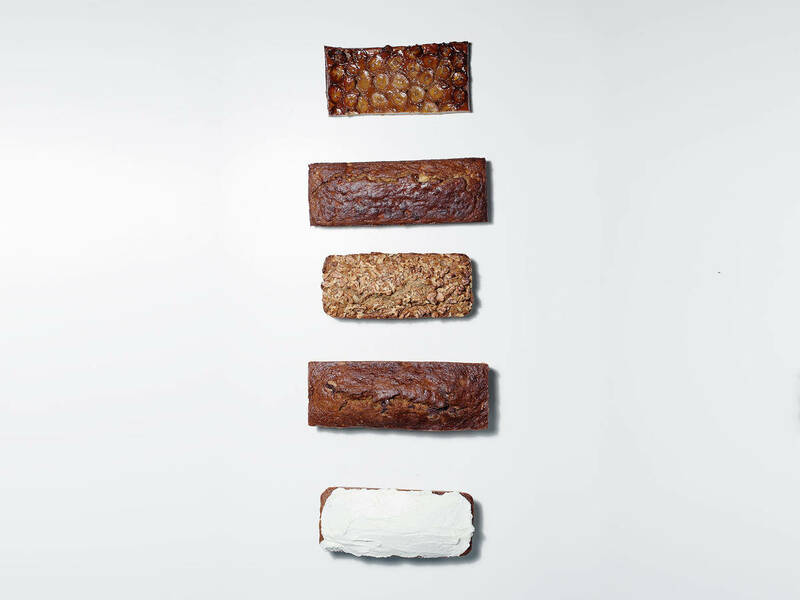 Add-ins: Whether it’s chopped nuts or even chocolate chips, they give a banana bread an interesting crunch in between. 3. Topping: Of course, you don’t necessary need a topping for your banana bread, but since the two most-liked banana breads had one, we can say that it definitely doesn’t do any harm to think about it. 4. Banana bread is for everyone! Whether you’re vegan, living gluten-free, or even if you suffer from fructose intolerance, there will be a best recipe for you. And now it’s up to you! What’s your best banana bread recipe? Or do you have any more tips? Comment below or send us your recipe at community@kitchenstories.com to be published on Kitchen Stories! Here’s our own best version of banana bread, test it out for yourself!